Not to mention the infinite emotional connotations that must cling to each of these words; connections to place, season, lifecycle rituals and on and on! AVOCADO-green ( not to be forgotten!...) MOSS-green, CHRISTMAS-green etc, etc. Makes a lot of sense! ...between a snowflake & frost. 3 Dec 2004 @ 02:11 by Christina @213.103.130.0 : Thanks! I'm glad to find they did have many names for snow after all! Language is a survival tool " The Limits of My Language are the limits of my world" (Wittgdnstein, Tractatus) Hence pacific islanders have a variety of words to describe the ocean - they can see subtle distinctions that enable them to navigate across open oceans, aboriginal austraolians have a variety of words describing their environment, enabling them to thrive where westerns die, South American Inidans...the list goes on. When these languages die out we lose more than just the language we lose the accumulated wisdom of these people, we lose the quick access to knowledge about a particular place that may never be fully replaced. they may have cute babies but when they grow up they'll turn ugly like the rest. I am a student studying at the University of KwaZulu Natal Pietermaritzburg and am doing a power point talk on cancer. 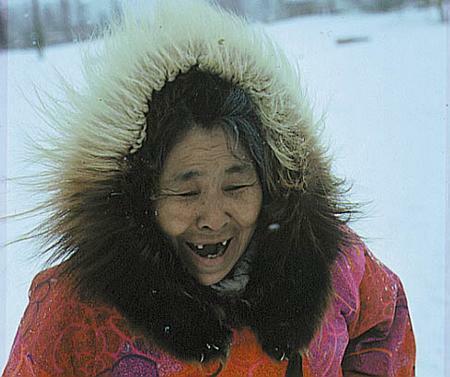 please could I use the image that shows a a smiling eskimo at the following web www.newciv.or/pic/nl/artpic/10/1436/eskimo.jpg to illustrate how eskimos have a low rate of cancer occurrance in the talk. if permission is granted, please tell me how you would like the copyright to be acknowledged. I would like to thnkx for the efforts you have put in wtniirg this blog. I'm hoping the same high-grade site post from you in the future also. Actually your creative wtniirg abilities has inspired me to get my own blog going now. Really blogging is spreading its wings and growing fast. Your write up is a good example. I simply want to say I'm very new to welobg and definitely liked you're web-site. Very likely I’m likely to bookmark your blog post . You certainly come with superb articles. Many thanks for sharing your web-site. I feel so much happier now I unserdtand all this. Thanks!